Karmey Chesed, a non-profit organization whose goal it is to help those in Israel who are in need attain a basic standard of living, has recently join forces with the IDF to help those soldiers and their families in need. One particular combat brigade is made up of soldiers who come from low-income families. Majority of the 250 soldiers have little or no food to eat when they return home on leave and live in unfurnished homes because they have no money for basic furniture. 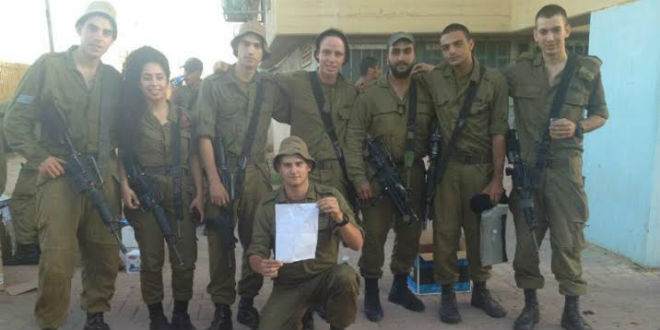 This brigade recently reported for duty in the south of Israel together with thousands of other soldiers as part of Operation Protective Edge. They are currently awaiting orders in a temporary base on the periphery of Gaza, and like the rest of the region, are constantly under the threat of rocket fire from terrorists in Gaza. Shosh, the Welfare NCO of the brigade, contacted Karmey Chesed and explained the situation in hopes that they would be able to help the soldiers. "As soon as I contacted them [Karmey Chesed] they began helping. The very next day we already had donations of furniture and a closet. All I had to do was arrange a pick-up of the items and to give it to one of the families of the soldier who needed it the most," Shosh explained. "Since then it has been a constant stream of donations, of whatever we need, food, furniture, arriving from all over, all thanks to Karmey Chesed." Since the start of the operation in Gaza, this brigade received no outside help from other organizations or private individuals. On Monday morning, once Karmey Chesed stepped in with the help of its donors, the soldiers enjoyed hot meals, snacks and care packages from IDF supporters while they await their deployment orders. "We are providing snacks and easily prepared food to the soldiers, which raises their morale significantly," said Aryeh Weingarten, founder of Karmey Chesed. "It's a great feeling when a soldier receives a care package, and especially in an intense situation like this. It helps them feel that they are important, wanted, and respected." 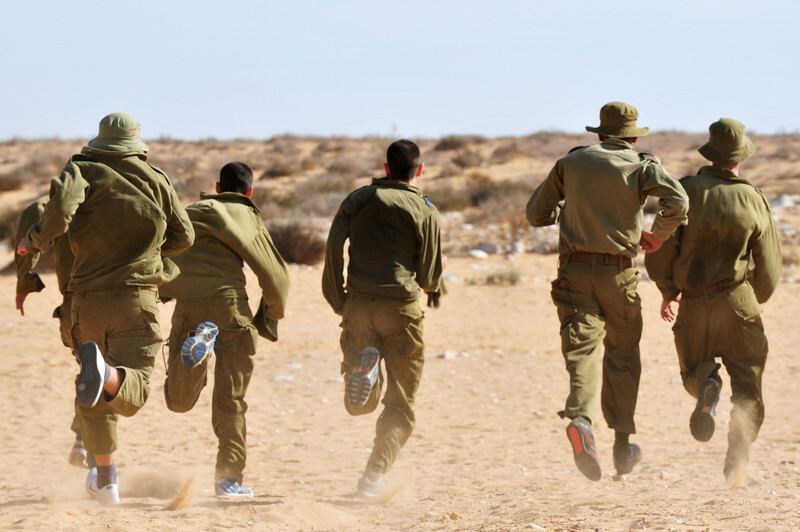 Many Soldiers, who have been called up as early as Tuesday last week, have been awaiting orders in army bases and temporary encampments all around the northwestern part of the Negev Desert nearest the Gaza Strip. The IDF has been attempting at all costs to avoid a ground invasion of Gaza, which has in the past resulted in heavy casualties on both sides. However, as rocket attacks from inside the Strip rose to over 1,000 in the past week, in spite of continued airstrikes by the IDF, it seems that a ground invasion may be closer than the army hopes. "I have never been happier with the help from an non-profit organization," said Shosh. 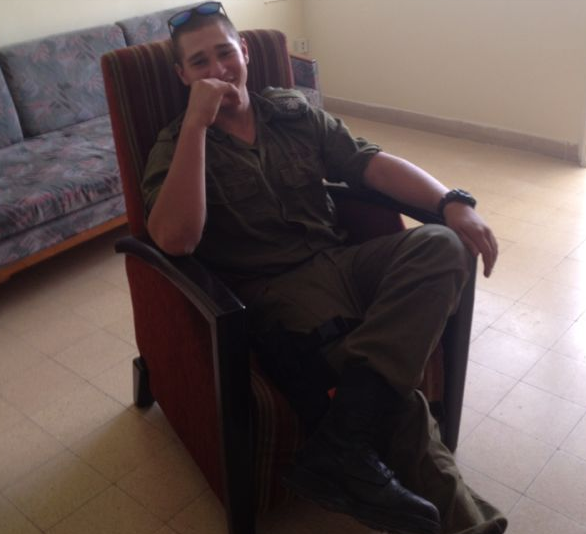 "Aryeh's first response to me when I asked for his help was 'I can never help soldiers enough.' That is the type of organization that Karmey Chesed is. They feel that they can never do enough for the people that they help, and they certainly try." Shosh filled Breaking Israel News in on perhaps one of the greatest accolades that a non-profit organization could be acclaimed for. 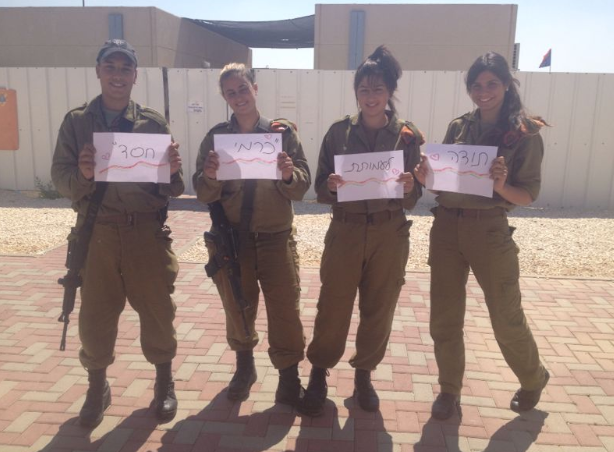 She said; "The soldiers are so thankful for the help that Karmey Chesed has provided. I am so thankful, and so are the families. There are soldiers who had nothing, who are now in a stable living environment, and their families are financially stable, thanks to the work and donations from Karmey Chesed. We cannot say thank you enough." 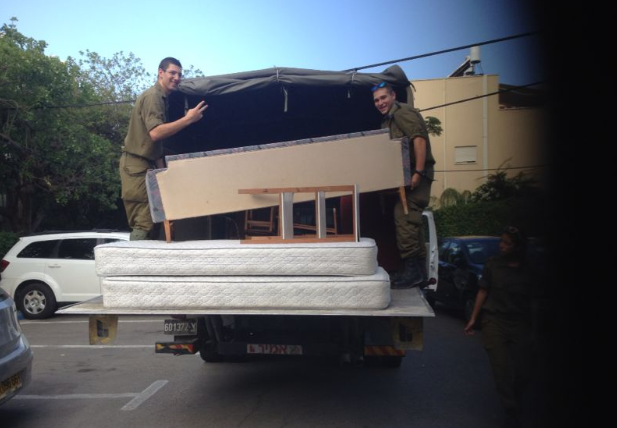 Karmey Chesed is also expanding their services to help the residents of the nearby beleaguered city of Sderot. "Normally we would have donations of furniture or second hand items as well as volunteers on hand to be able to deliver these donations. However, with the situation as volatile as it is, and constant air-raid-sirens, there is simply too much going on right now for people to donate such items," says Weingarten. The organization has volunteers going house to house and offering food to those who are in need. "People are simply too scared to leave their houses and go to the supermarket," said one of the volunteers. "There are those who aren't able to go or don't want to risk leaving their homes and the proximity of their safe rooms," he continued. The shopping malls and supermarkets in Sderot have safe rooms of their own and they are all reinforced, but that does not mean that people there are taking any extraneous risks. "We are giving money and supplying food to people who are afraid to leave their houses. Our volunteers are going house to house and delivering food, to make sure that no one is without their basic needs," says Weingarten. "Thankfully our volunteers are not scared, but they are extremely busy." To find out how you can help Karmey Chesed today, please click here.